If you had to hire new staff and choose between a relative and a stranger, who would you go for? This is a moral dilemma faced by many Cambodians in a country where nation-wide corruption is one of the major challenges in the long recovery from civil war and political turmoil. Nepotism has wreaked havoc on public and private sectors, prompting Cambodian premier Hun Sen in July this year to warn government officials that their jobs are not hereditary. Many Cambodians, however, are arguing that nepotism and cronyism are continuing unchecked. It is difficult to say when nepotism became an accepted way of doing business in Cambodia, but it is widely used to reward relatives and ensure that future generations of your family are financially secure. “Cambodians now think that it is customary to use their own influence to give jobs to their children who might be very unqualified, but this close-mindedness in business can at times ruin their long-term goals,” said Diep Sophal, a Cambodian history lecturer at the University of Cambodia, in an interview with Lift. Diep Sophal points out the fact that even a general education of 12 years can’t curb this pervasive behaviour unless the rule of law is strictly enforced to ensure fair hiring practices, adding that there are several reasons why nepotism is so widely spread. There is a tradition in families where children take over their parents’ business while giving the jobs to other family members, regardless of qualifications, skills or experience. The result is that tens of thousands of students graduate every year, ready to enter Cambodia’s small- and medium-business sector, only to find that many jobs aren’t available to public applicants. The trend has future graduates like Bunrith Soriya, an economics student, very worried. “What I hate the most about nepotism is that it will make qualified people lose chances to get jobs, and render the country weak and uncivilised without progress or development, while it diminishes the confidence of youth to embark on their own careers,” he said. Critics often complain that corruption and nepotism have taken root in the government. On March 8, 2007, The Phnom Penh Post published a chart showing that Hun Sen is related through marriage to many of Cambodia’s other power players, including President of the Senate Chea Sim, Deputy Prime Minister Sar Kheng, now deceased National Police commissioner Hok Lundy and Minister of Council of Ministers Sok An. But Yim Kimpov, who works as senior manager at the GS Engineering & Construction Co, estimates that 50 percent of private institutions are also marred by practices of nepotism. Showing favour to relatives or family is seen as acceptable and respected behaviour, he said, due to the common belief that “blood is thicker than water”. 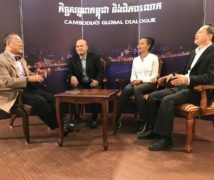 “Nepotism has a bad impact on Khmer society because it is very unfair to youth, and will discourage and exclude them from engagement in the country’s development,” said Yim Kimpov, adding that allowing people to rise through the ranks because they know somebody important often leads companies or institutions to disasters. Experts say that many companies are trying hard to deter corrupt practices within their organisations. HR Inc (Cambodia) Co Ltd, a recruitment agency in Cambodia that seeks out qualified staff for companies operating in the Kingdom, is doing many activities to build up the capacity of Cambodia’s workforce. “It’s wrong to assume that nepotism only exists in government institutions and private companies,” said managing director Sandra D’Amico. Given Cambodians’ favouritism of family members or friends, family businesses frequently fail because leaders and staff are unable to manage the complex issues that arise when personal and business relationships mix. One policy that can help to minimise nepotism, D’Amico suggests, is to implement transparency in the recruitment and selection process. 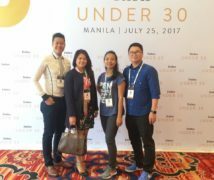 Even though some business owners might think that hiring an agency to recruit staff is expensive, it can be an effective way to crush nepotism and put their business in capable hands. However, Erya Houn Heng, president and CEO of First Cambodia, a company specialising in system integration, said that relatives or friends can work in the same organisation, but they should not get any special privilege. His idea is echoed by CPP lawmaker Cheam Yeap, who said that if a workplace chooses people they know well who also have enough capacity, it won’t pose a threat to growth. But he agreed that hiring unqualified relatives will have a bad impact on society as a whole. “To solve that problem, we have to properly enforce the law and call for the law practitioners to follow it thoroughly and more effectively. Nepotism does not give any benefits to society, and people have to dare to raise this problem in any institution,” he told Lift. There have been many efforts by NGOs to eradicate nepotism. The Coalition for Integrity and Social Accountability (CISA) has conducted surveys and distributed educational printouts about nepotism to youth in school and communities. In early 2008, www.saatsaam.info/kh was initiated and launched by the Open Forum of Cambodia, representing the Coalition of Civil Society Organization Against Corruption (CoCSOAC). The website is funded by the US Agency for International Development (USAID) through PACT-Cambodia in an attempt to raise awareness of the impact of corruption and to promote public participation through sharing information about related issues. Who said it came that easy?